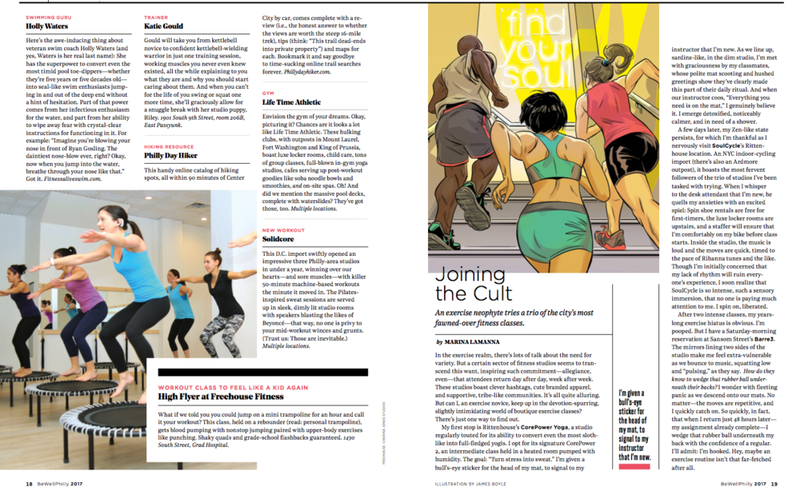 "The hands down prettiest place to sweat: Roots Athletics"
We would like to thank BE WELL Philly for the amazing write-up about our Academy. This year, Roots Athletics won the title of Best Boutique Fitness Studio of Philly. We are very honored to be recognized by the community. Thank you to everybody who made this happen! When I was younger, around the age of 10-11 years old, I was very shy and not confident when I would walk down the street by myself. I think this is something a lot of children suffer with, especially since now bullying is such an epidemic. 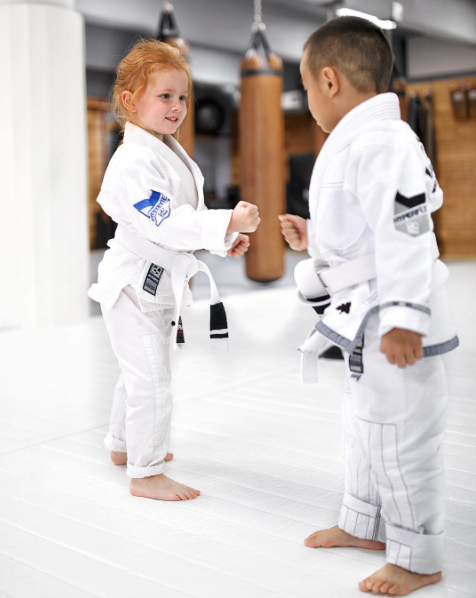 Jiu jitsu is a great sport to enroll your child in, no matter what age, because it teaches them to have confidence, learn self defense, have social skills, develop quick reflexes, and make friends. When I first started jiu jitsu, I was an extremely quiet and reserved kid. Jiu jitsu allowed me to develop confidence in myself, on and off the mats. What started as an activity that my parents just got me in to for an after school activity, soon became a hobby of mine that I became obsessed with. Although parents do not want to think the worst case scenario when there child is on their own, being able to defend yourself is crucial. 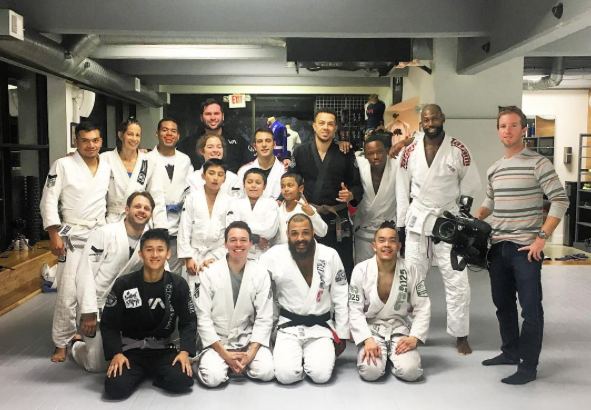 Jiu Jitsu will help them so much in their ability to defend themselves if they ever have to, even if they just need to use their voice and speak up for themselves. For me, jiu jitsu was fun at first, and it got serious when I turned about 14-15 years old. I started to train more and take the adult jiu jitsu classes. Later on, I started to compete more and it built up my confident to another level. I feel as though jiu jitsu has helped shape me into the person I am today due to the good morals and respect in the sport. I believe that jiu jitsu is best sport you could enroll your child in due to the many benefits it provides for your child. Last week I had the joy of crawling out of my apartment to make three Amazon returns, all of which had separate drop-off locations. By bicycle. In the rain. You might say it was a less-than-enjoyable string of errands. “Oops, I ordered the wrong product,” was all I had to say to my online merchant at the end of this dilemma. It’s easy to make these kind of impulse mistakes when we are hours into an online shopping session, glued to our smart tablets and Apple products. Yet, it’s easier still to overlook some of the consequences when we choose to shop this way for Jiu Jitsu gear. Our academy has seen plenty of students and visitors alike show up to class with sub-par equipment, only to bleed dye from their clothes onto the mat (These stains can take weeks to fade out!). Perhaps it was a fluke, but I’ve even torn a training partner’s gi, almost in half, just from hanging onto his lapel playing open guard. As diligent Jiu Jitsu students, it’s our responsibility to circumvent the chances of equipment failure, especially when it can very quickly become grounds for disqualification in tournament. We just invest too much human effort and sentiment in our training to blow it all on a torn seam. First and foremost, find yourself a product expert. Someone who knows what’s what. Maybe someone who’s had his or her own share of mishaps. Simply, someone who you know trains super hard, but always manages to have a clean gi. Look no further than your fellow upper belts and coaches. In this day and age, they are sure have gone through enough equipment to have boiled their favorite gi or rashguard brands down to a handful of choices. Brand ambassadors share similar amounts of experience, but are specific to the equipment provided by their sponsor, meaning they not only have a concentrated product knowledge of the brand, but also feedback on how their sponsor runs their business. They likely will be able to tell you if the business’s product support and warranty departments are on-point, or if they tend to give the run-around. Visit our academy and it’s no surprise: it’s a Moya Brand x RVCA dance party. There are plenty of other high-quality brands the Culture Shop has on the horizon, but those two are great examples that we’ve had from the start. Forget vanity. It’s not that. A jiu jitsu player with clean training attire is to a chef with a sharp knife. There’s a common argument of whether or not world-class jiu jitsu practitioners should add strength training on top of their Jiu Jitsu training in order to improve their game. In some ways, I can see both sides to this argument. However, it depends on the way you define “strength training.” From the personal experience of myself and my clients, I can confidently say that HIIT, High Intensity Interval Training, is one of the most beneficial ways to improve your jiu jitsu, without risking the degrading of your joints or serious injuries. Why HIIT? Like Jiu Jitsu, HIIT training requires explosive bursts of energy with less intense recovery periods. As a Jiu Jitsu athlete, learning to have explosive energy on command is crucial in order to be able to compete at the highest levels. Being able to escape a submission or finish a pass requires an intense amount of discipline and the knowledge of how to go from a relaxed state to using a large amount of the energy you have preserved. All of these techniques are something that can be learned and developed through HIIT training. One of the main concerns as an athlete when adding other styles of training into your regimen is the risk for injury. With HIIT training, there are ways to meet your goals without having to use intense amounts of weight that might stray some athletes away from regular strength training. HIIT training can be accomplished with even just your body weight. It’s all about how effective you makes each exercise and how hard you push yourself. Using exercise bands, cable towers, medicine balls, and even performing sprints are great ways to improve your cardiovascular endurance while using explosive energy. Cutting weight is another huge responsibility as a Jiu Jitsu athlete. HIIT training allows you to burn more fat in a smaller time frame by keeping your heart rate up throughout your workout. For example, an athlete could set up sprint intervals, where you sprint for 40 seconds and then walk for 20 seconds, which is equal to 1 minute. Doing so for 10-20 minutes is much more effective than jogging for the same amount of time because you’re pushing your body harder and allowing your heart rate to get higher. HIIT training is a beneficial way to cut weight throughout your competition prep by allowing you to improve your cardiovascular endurance, all while losing the last couple of pounds before competition day. Although there are not many training styles that can mimic what is required of us like in Jiu Jitsu, HIIT training is one of the most similar and beneficial training styles when it comes to strength training— without the worry or risks of injuries. There are many ways to incorporate Jiu Jitsu style movements while creating fun exercises. Next time you’re looking for a new workout regimen to help you get to the top of the podium, give HIIT training a try. Let's give a huge congratulations to Coach Kyle Huang and Roots Athletics' new Head Instructor Coach Kristian Woodmansee for their stellar performance at this past weekend's Fight To Win Pro event in New Jersey! Both Kyle and Kristian were able to pull out the win! Wow! Thank you so much @phillymag and to everyone in Philly who constantly supports us! 🙏🏼👏🏼 We made the 2017 Philly's Best Fitness Studio!! We are very appreciative of everyone who made this happen. Please stop by for a free class if you'd like to come in for yourself! Roots Athletics will be hosting it's first annual Jiu Jitsu in the Park of the season on Sunday, April 30th! We want to welcome all academies and affiliations to join us on the mats and enjoy some beautiful weather and hard training. Location, as of now, is to be announced. We will keep you all informed on times and locations as the date approaches. Mark your calendars! Congratulations to Morgan Beverly on her Purple Belt! Roots Athletics Named "Philly Fitness Gem"
The Culture Shop is Coming to the Goodfight on November 5th!